It's not very surprising, given our mostly fickle winters, that not many people have tried snowshoeing. But Mick Borroff urges you to give it a go. My first experience with snowshoes was a short tromp up through a pine forest to a mountain hut in the Austrian Alps some years ago. I had been sufficiently impressed with the experience that I wanted to try it again so, in 2011, my wife and I headed to Les Rousses in the French Jura for a week. We enjoyed it so much we have been away snowshoeing every year since then. That first trip, we packed our normal winter walking kit and fitted our trekking poles with larger snow baskets. In Les Rousses we bought an IGN 1-25K topo map and picked up a free guide to the marked snowshoe trails from the tourist office. 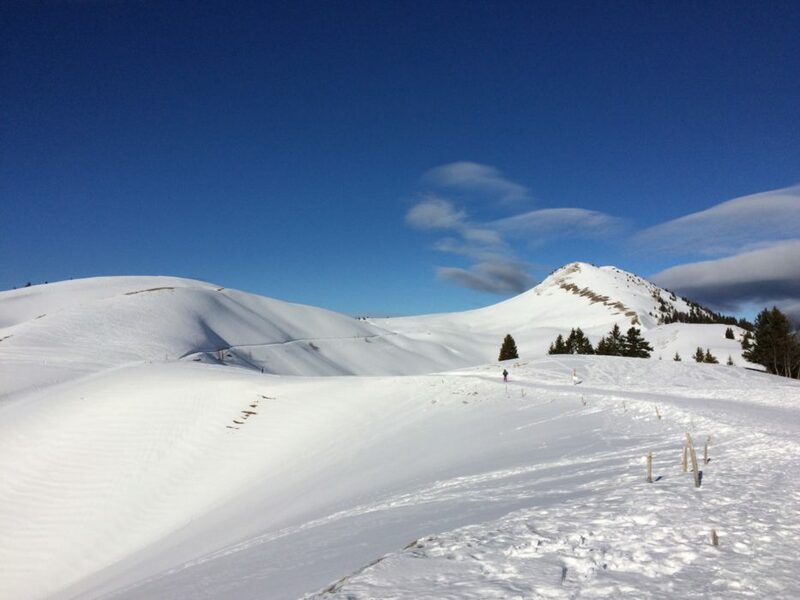 We hired our snowshoes and strapped them on for our first route in the sunshine and off we went – a waymarked circuit passing the old military Fort des Rousses. The route was well used and we traversed a mixture of forested and more open terrain, trying out the snowshoes capabilities (and ours) on a variety of slopes and snow conditions, finding a minimal learning curve… we were hooked! For our second outing, we were keen to do a longer, quieter and more remote route. We did a non-waymarked traverse across the Forêt de Risoux, which I picked out from the IGN map using marked forestry tracks and summer footpaths from Bois d’Amont. We climbed steadily through pines in a temperature inversion, eventually emerging from the morning mist into sunshine. The IGN mapping had some limitations in correctly plotting the course of some of the paths and tracks through the trees, and the GPS was very useful in checking our actual position. We eventually emerged onto a prepared cross-country ski route. 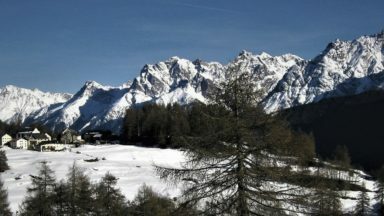 The periodic onrush of Lycra-clad skiers on the manicured piste was an unwelcome contrast to the silent snow-clad woods we had just enjoyed, and we left the piste as soon as practicable to make our descent back to Les Rousses some five hours later. 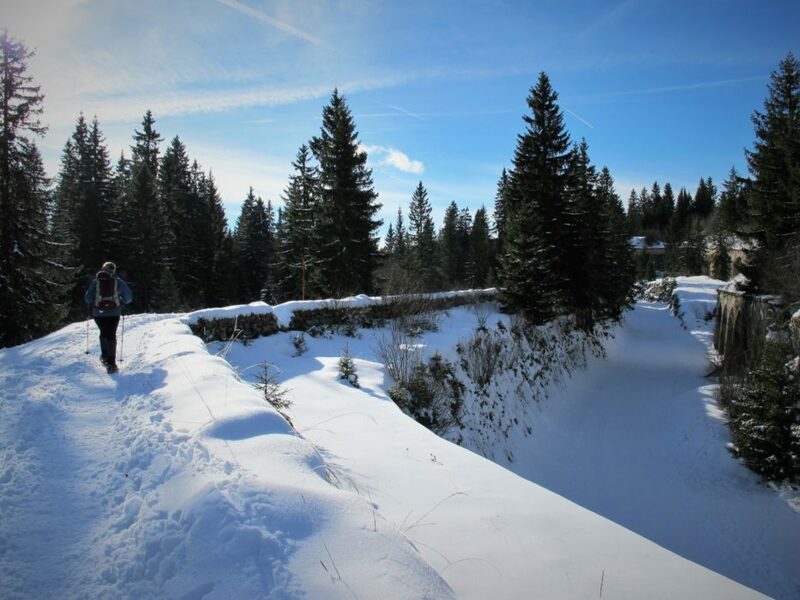 We did a few other snowshoe hikes on that trip and, as we were leaving, we found that a new French snowshoe guidebook to the Jura had just become available, which we bought – thinking “if only we’d found it at the start of the holiday”. Our approach nowadays is a little more sophisticated – we buy the snowshoe guidebooks and the topo maps well before we go! Then we check the tourist office and route sharing websites for downloadable route information and/or GPX tracks to build up a thorough picture of what’s available and where. Route information is then translated, routes are marked on the map and GPX tracks plotted for all the routes we might do and downloaded to a mapping GPS unit. 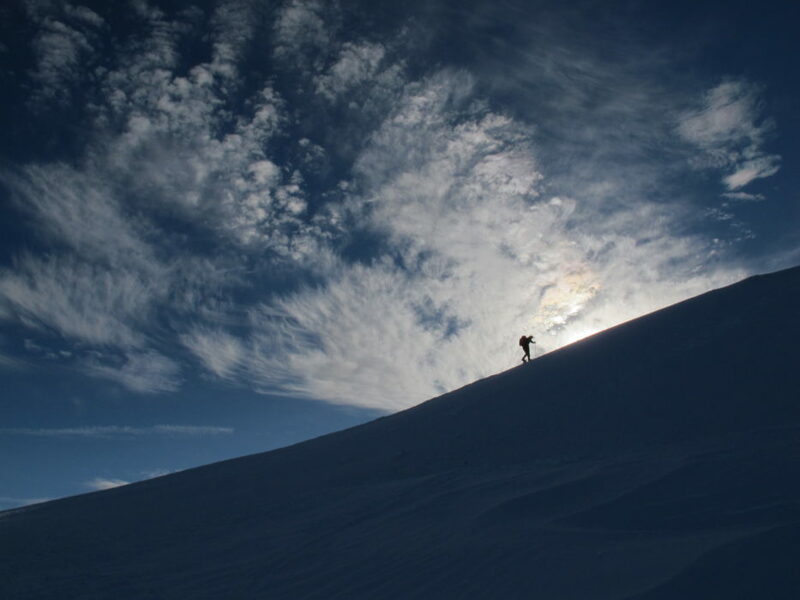 If you are already a competent hill-walker and enjoy snowy UK winter conditions in the Lakes, Snowdonia or the Highlands, then you probably have most of the skills for safe mountain travel and almost all of the kit necessary to go snowshoeing... and the weather will probably be much better! 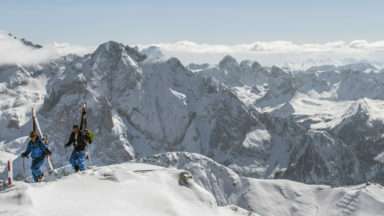 Snowshoeing is easy to learn and requires much less technique compared with learning to ski. At the easiest level, on flat or gently up and down terrain, it really is just walking with a slightly wide-legged gait to ensure the snowshoes don’t bump into each other. No sliding is involved. Most of the learning is about placement of your snowshoes going up, down or across snow slopes under different conditions, from deep powder to hard snow, and understanding the limitations of your particular snowshoe design relative to the slope angle and your direction of travel. 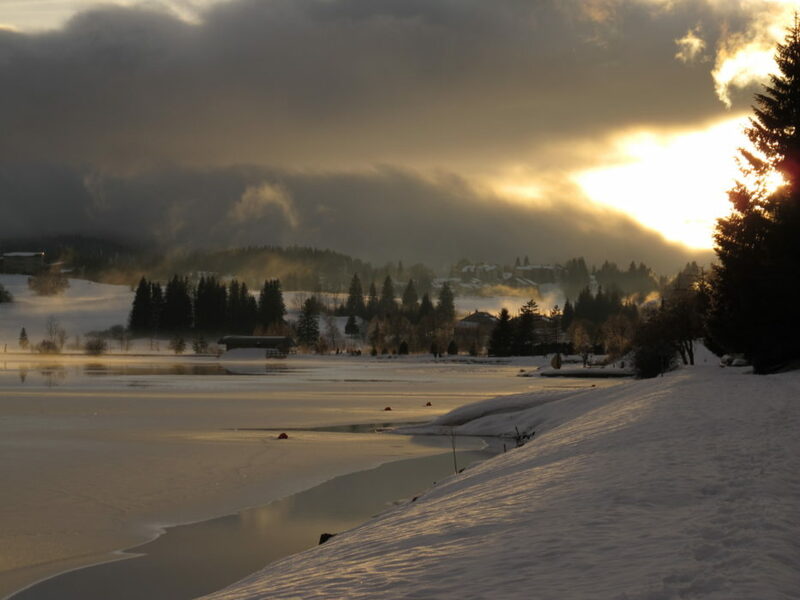 The majority of ski-hire outlets in Europe now also rent out snowshoes and poles. The staff in the rental shop should be able to match snowshoes from their range to your aspirations. 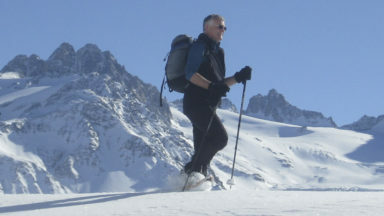 Traction devices on snowshoes vary, too, offering increasing degrees of stabilisation through downward spikes, lateral teeth and heel crampons. Some snowshoes have a useful heel-lift to ease your calf muscles going uphill. 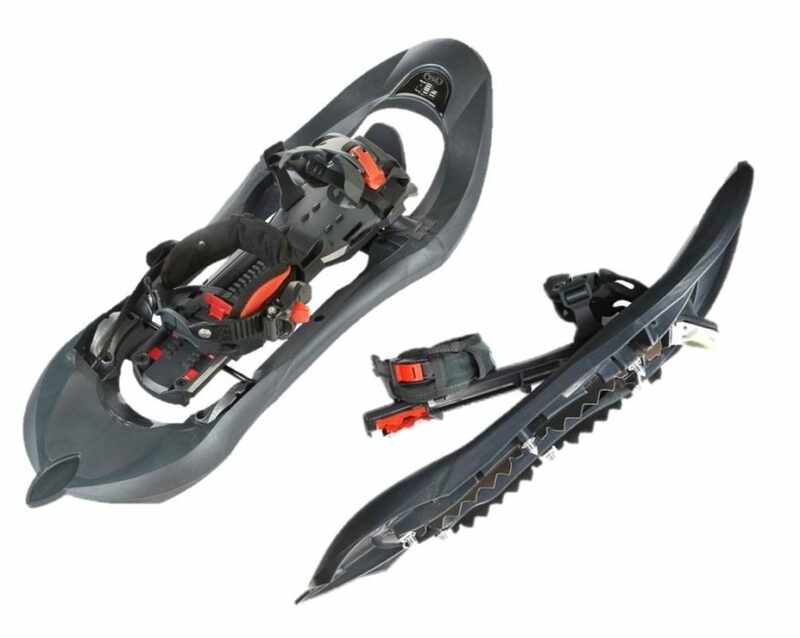 The snowshoe also needs to be matched to your weight to ensure its flotation is adequate in deep powder snow. 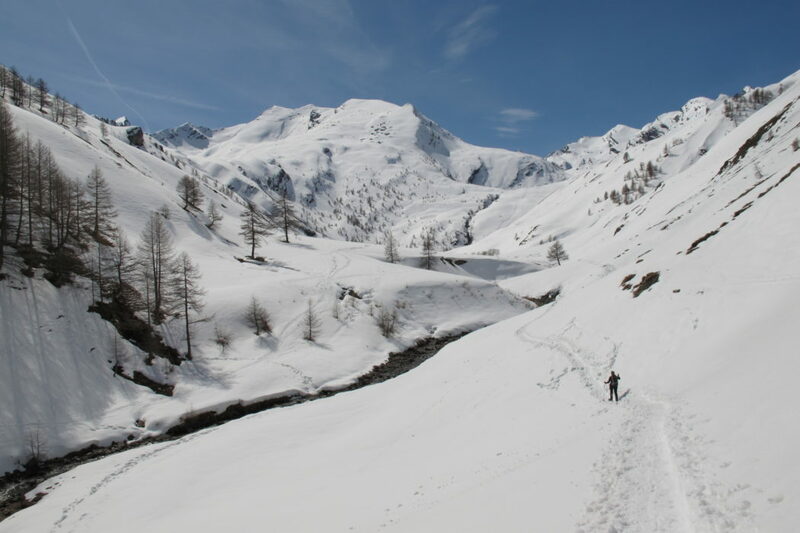 Just like winter walks or ski-runs, snowshoe routes can be divided into different levels of difficulty depending on the distance, cumulative ascent and terrain crossed. 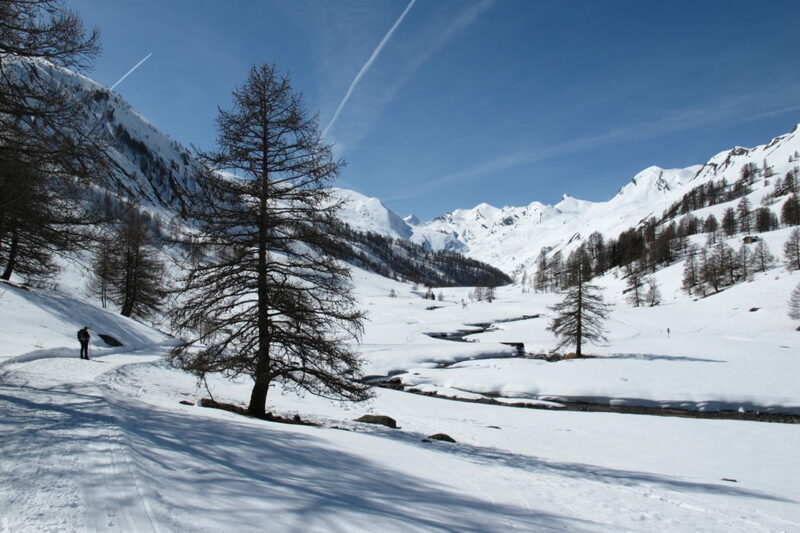 Many alpine or cross-country ski centres have entry-level easy and moderate snowshoe routes that are clearly waymarked and these are ideal for your first few outings, or if you lack complete confidence in winter navigation. 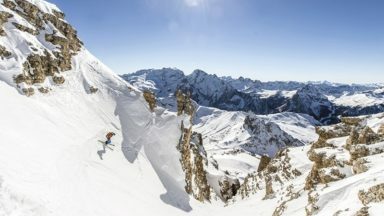 Popular routes may have a well-tramped piste that is as easy to follow as trail waymarking. In new snow, however, it will be you making this track so good navigation is needed and an ability to choose the optimum line. A snowshoeing trip is a bit like a ceilidh – all the generations can join in and enjoy being out together in the winter landscape. Many easier routes done in good conditions can be turned into winter family picnics in the snow. Take turns at the front in new snow to experience the joys of breaking a trail and then behind the leader cruising on the compacted piste. 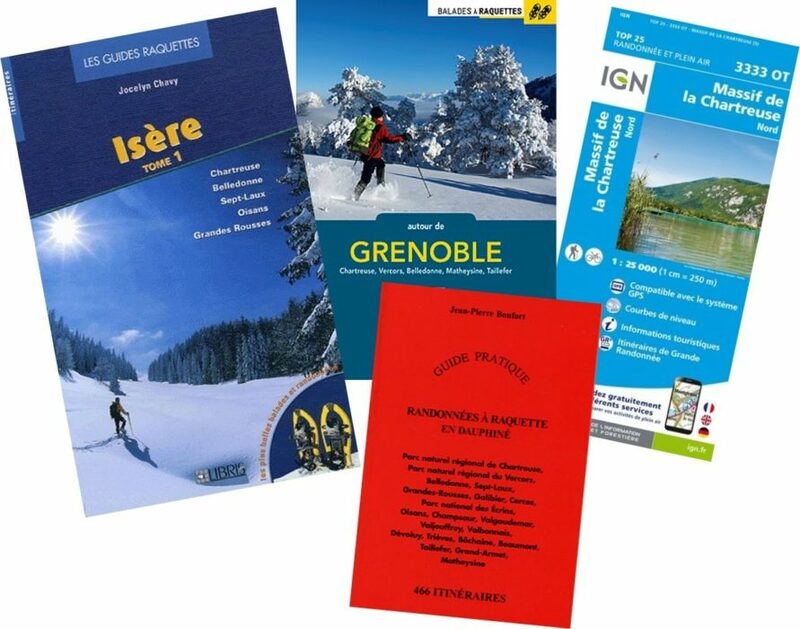 While snowshoeing guidebooks in English are scarce (Cicerone has one on the Italian Dolomites), there are plenty of local language guidebooks available in French, Italian, German etc to cover their respective mountain areas. There are also many snowshoe routes with maps and descriptions posted on both tourist office and route-sharing websites. If you would like some instruction, most areas have local snowshoe guides who can introduce you to the sport and to their local area. 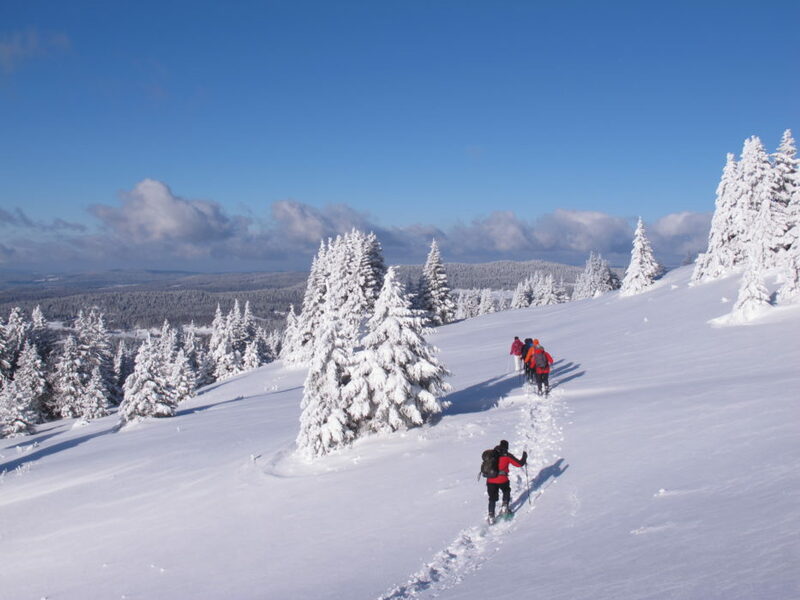 You can usually book half-day, full-day or multi-day snowshoe excursions. 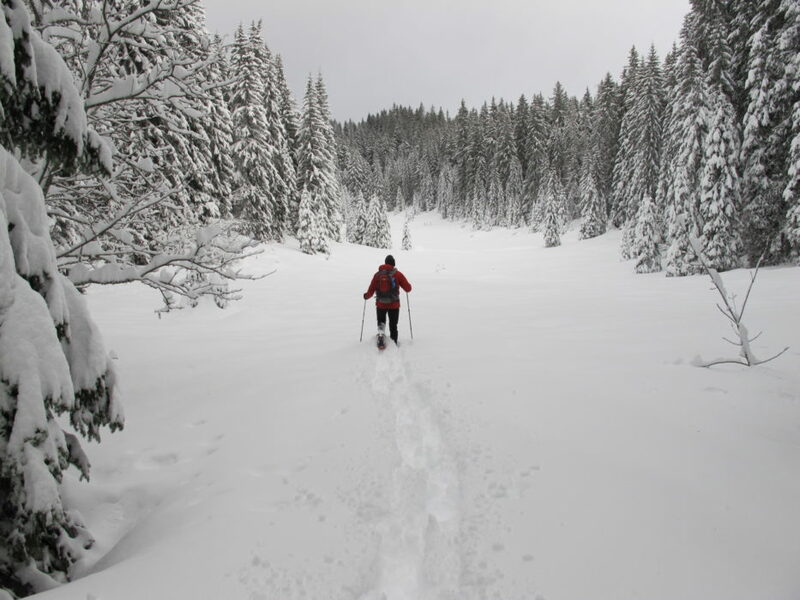 For example, we used a guide in the Rila Mountains in Bulgaria for a couple of days as information on snowshoeing was sparse. 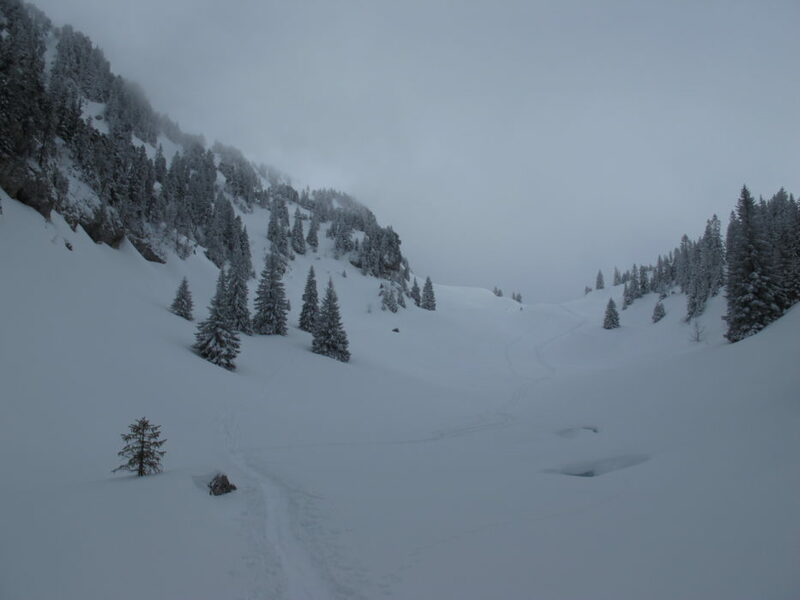 While you certainly cannot ignore the avalanche forecast, there are many areas where you can snowshoe safely and enjoyably even if the avalanche forecast is set at a risk level above Low. Usually, there will be local professionals at the ski centre, guides bureau or tourist office who you can consult about possible safe routes in such conditions. 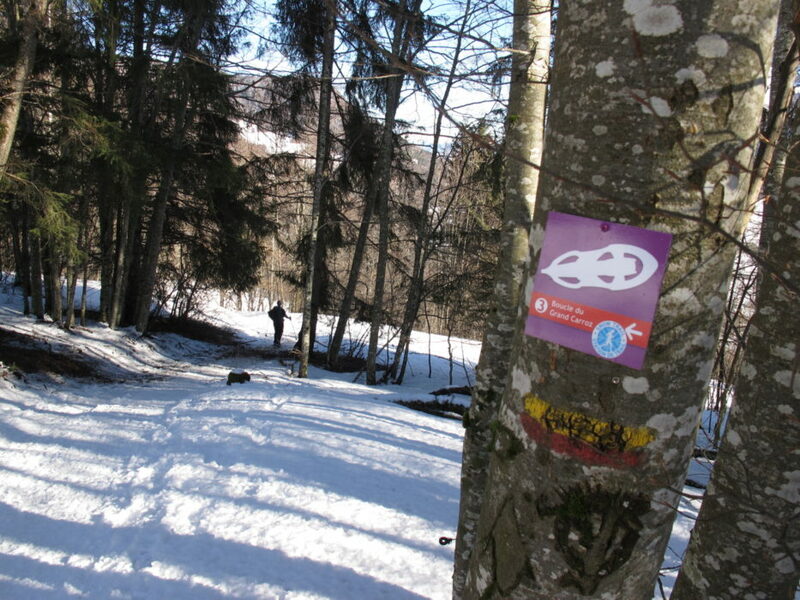 For example, most waymarked routes for snowshoeing have been chosen as they present a very low risk. 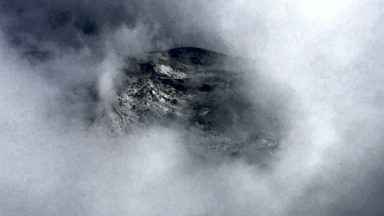 In the Jura, the geological structure of the mountains is helpful in that the gentle forested dip slopes are relatively benign, whereas the steeper scarp slopes may present a higher risk. 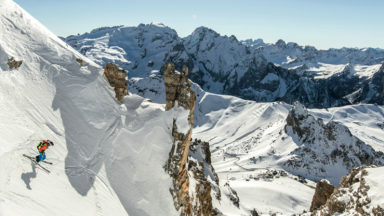 If you are planning steeper mountain routes, then you must be competent in assessing the avalanche risk for your proposed route according to the prevailing snow and weather conditions. Be aware that snowshoes create equivalent or greater avalanche-triggering surface pressure and vibration as skis and snowboards. 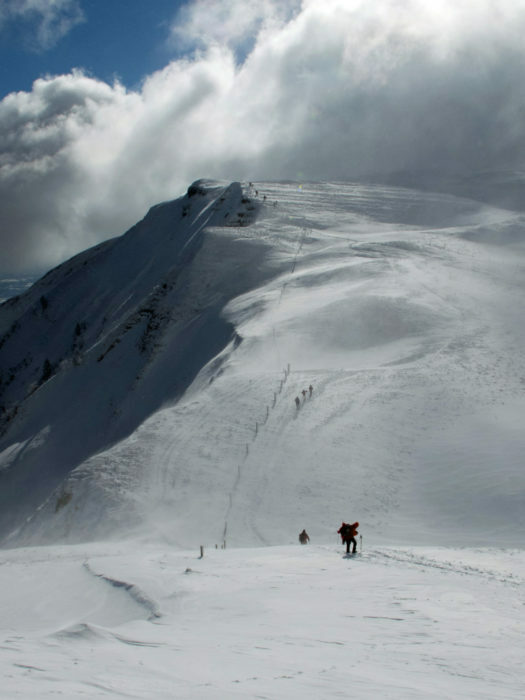 An avalanche transceiver, shovel and probe should be considered for such routes. 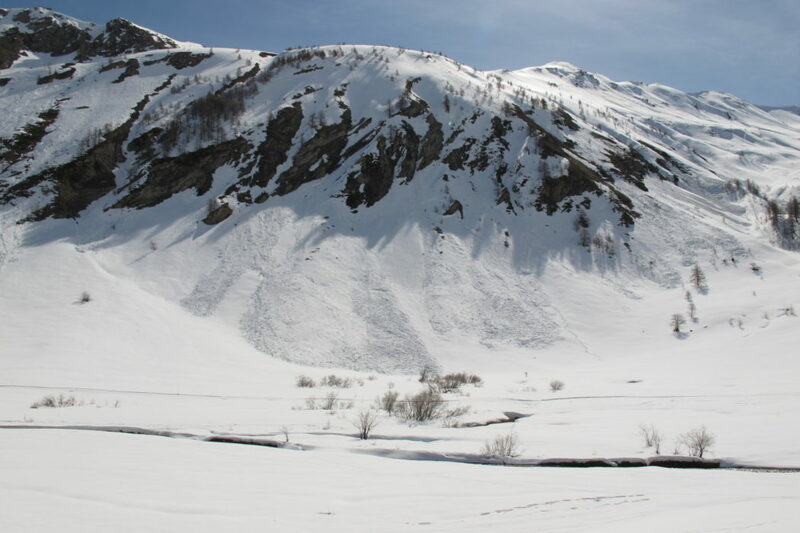 Education about avalanches and their prevention provided by the Scottish Avalanche Information Service (SAIS) and the Swiss White Risk app for example, are essential reading. In many areas you can escape the hustle and bustle of alpine or cross-country skiing by heading into the winter wilderness to escape the crowds. This is especially true mid-week, outside the winter half-term, when you can have many superb snowshoe routes to yourself. You will have a better chance of seeing wildlife, too. 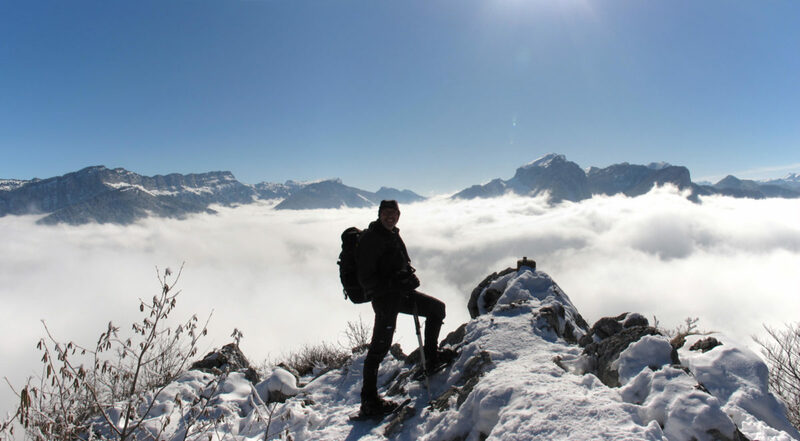 Like winter walking, snowshoeing is practicable in a wide range of conditions and should you be unlucky to experience limited snow conditions, you can strap your snowshoes to your rucksack until you reach the snowline or simply go winter walking in your boots as you would in the UK. So, there you have it. 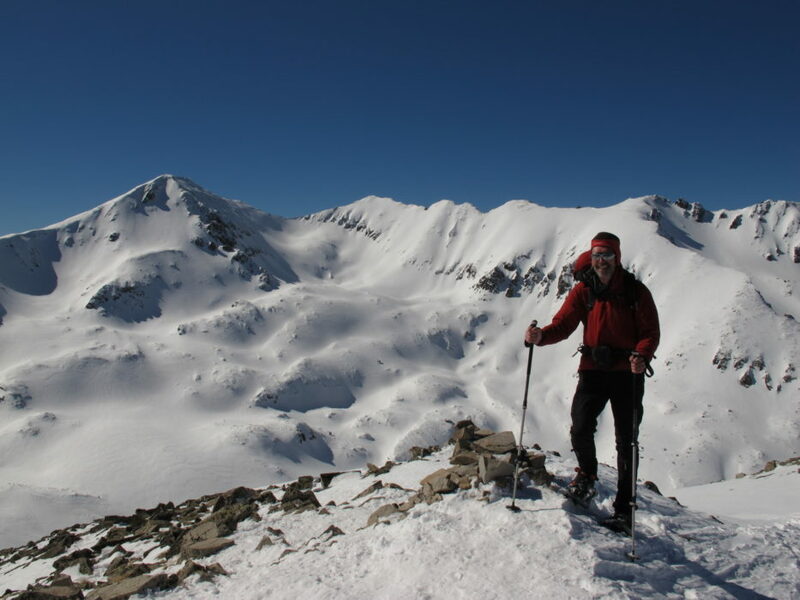 Snowshoeing is extremely enjoyable and is a great extension to winter hiking in the snowy mountains. I hope my article has given you a flavour of what to expect – go give it a try!